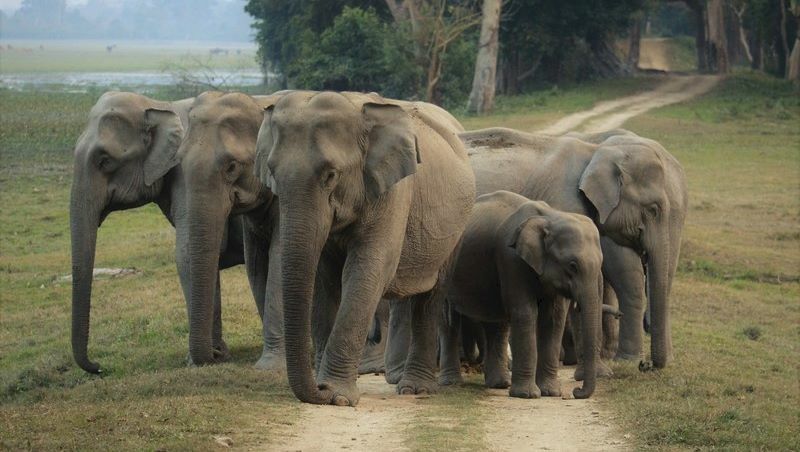 Elephants on safari in Kaziranga National Park. Temples, sadhu's, chaos, colour, splendid palaces and poignant poverty. A land that will grab you at your throat; it might scare you off or it will never let you go. Tigers, elephants, colourful hornbills and overwhelming landscapes. This site introduces you to the wild side of this fascinating country. Join us on safari. Welcome to Our Wild India. ​Most of the pages on this site are in Dutch. Translation to English is in progres but might take some time.